The ball bearings of the turbo pump are used in rocket, LNG transportation pump, space tribology and varied industrial fields. LOX KEROSENE The ball bearings are utilized almost exclusively for liquid propellant rocket engine turbo pump. The ball bearings of the turbo 0 pump are required to endure high load and high speed of severe lubrication conditions. verification of bearing performance crucial to successful development of a turbo pump. 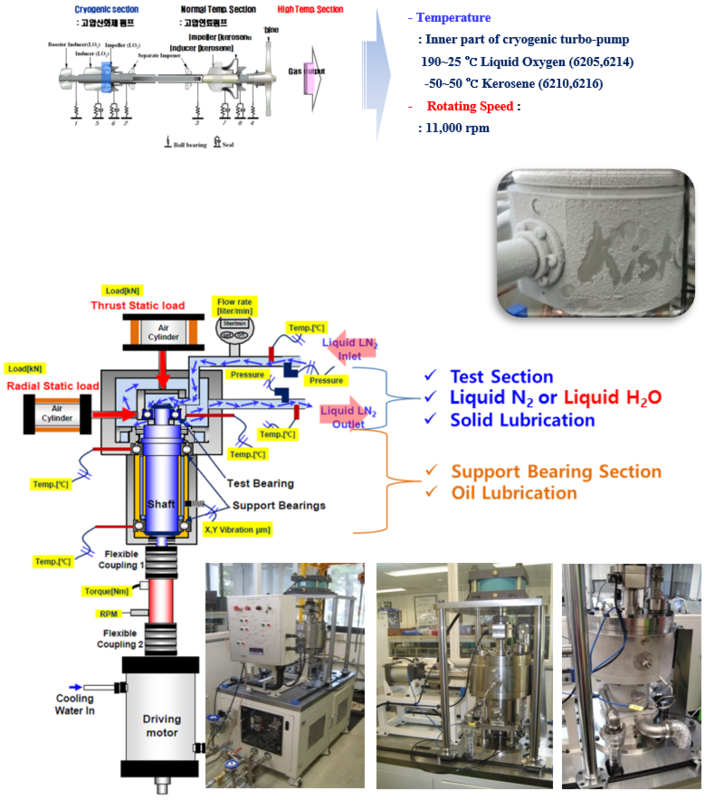 KIST researched the fundamental and Liquid nitrogen environment and water environment such as sound level meter, torque meter, eddy current sensors monitoring systems.